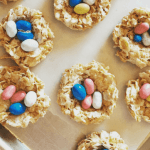 Nest cornflake treats perfect for your Easter celebration. 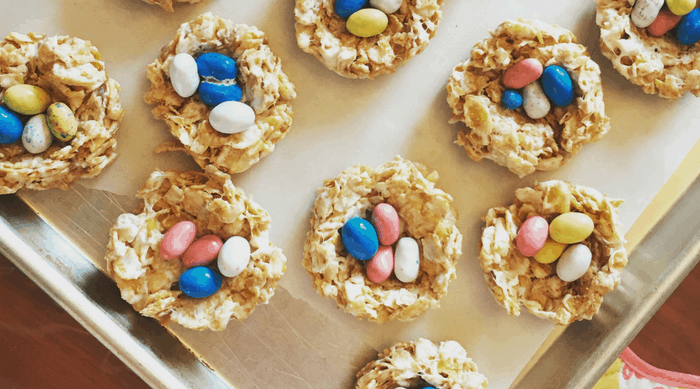 An adaptation of the classic corn flake wreath. Similar to rice krispy treats, but even more delicious. The recipe is similar to rice krispy treats, but somehow corn flakes make a world of difference in flavor. 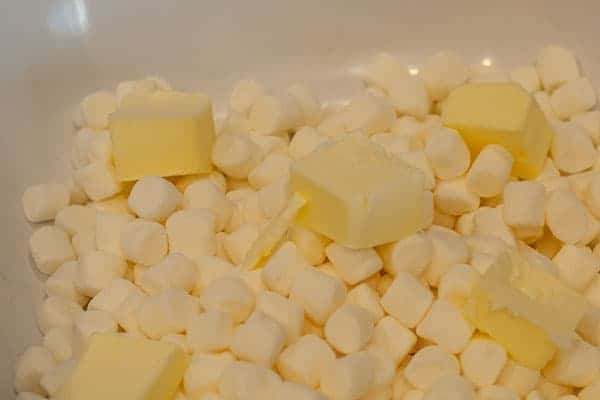 Melt the butter and marshmallows in the microwave in small increments, stirring frequently until smooth and all the butter is melted. On top of wax paper and with greased hands or a spoon, press the cornflake mixture firmly into circle cookie cutter. You can use butter, spray or shortening to grease your hands. I like the spoon option better, but you still have to grease the spoon when it gets too sticky. And greasing the cookie cutter will help as well. Then use a spoon to form the nest. Carefully lift the cookie cutter and repeat. The recipe should make about 18-20 treats. Depending on the size of your cookie cutter. Cornflakes can be a little harder to work with than rice krispies. Add your Whoppers Robin Egg candy. An adaptation of the classic corn flake wreath. Perfect for Easter. 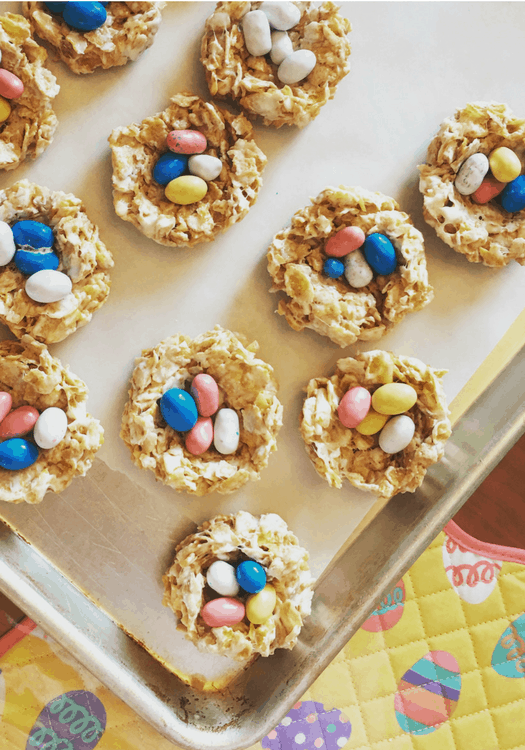 On top of wax paper and with greased hands or a spoon, press the cornflake mixture firmly into a circle shaped cookie cutter. Press with a spoon to create the nest. Add the Whopper Robin Eggs. Greasing your hands will help.